What’s old is new again! 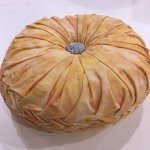 Come and try your hand at smocking, a hand sewing technique from the past. 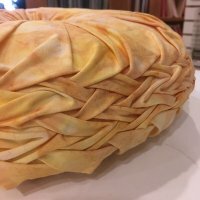 Make this beautiful smocked edge pillow with Julie! You will use Cheryl Sleboda’s Heirloom Smocking Template to make quick work of marking your fabric. The quicker you can get to the fun part - sewing, of course! - the better! This template uses a simple grid technique and can be used to create a wide variety of smocking patterns! You’ll also be upholstering buttons in class so when you’re done, you’re done! Join Julie for an enjoyable day of hand sewing!